Get IT Advice for Tomorrow. Sign up for a CDW account, and start saving 5% right away on computer hardware, software and services. Make any online purchase totaling $500 or more and qualify for expert advice from a dedicated account team. Within one business day, an account manager will call or email to learn more about your organization. Tap your dedicated account team for IT advice and product picks tailored to your business goals. Shop online with self-serve business features. In addition to your 5% savings, you can also qualify for business-only discounts on select products and bulk orders. With our 1,000+ brand partnerships, you get new and exclusive products, plus support from in-house brand experts. Create your own quotes online, or get personalized quotes from your account team. Convert quotes to orders in a few clicks. Use online POs, invoices, detailed spending reports and workflow tools to monitor and control spend, along with other great account features. We get you what you need fast, shipping in-stock products within 24 hours. Track pending orders and returns online. Create your own product bundles for new hires, laptop refreshes and more. Or have your account team build recommended product bundles. Get help from a human when you need it. Shop online with self-serve business features. Get help from a human when you need it. Get support and IT advice through your dedicated account team. Whether you’re a small business or an enterprise, we have IT experts specializing in government, education, healthcare, retail and more. Your CDW account team can help you plan for the future with information about new and emerging technologies based on your needs. Your account team connects you with IT experts, who serve as an extension of your own team. Contact your account team any time online. Or, we’ll bring the experts to you through our network of field technicians, available across North America and worldwide. Create an account and think of our IT team as part of yours. Contact your CDW account team any time online. Or, we’ll bring the experts to you through our network of field technicians, available across North America and worldwide. The perks don’t end at checkout. Whether you’re buying a single product or customizing an end-to-end solution, you’ll get comprehensive pre- and post-purchase support — including help with deployment and ongoing management. Meet your IT requirements with custom hardware configuration, comprehensive warranties and competitive leasing on virtually any IT product. The CDW Printer Supplies Program gives your business discounts and free shipping on the supplies you need. Always be ready for hardware upgrades and software license renewals with simplified reorder features and customizable reminders. Create an account to get your instant 5% savings and to access account tools, online quotes and our ready-to-help tech specialists. 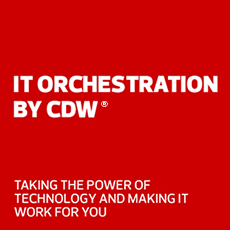 Read My CDW Advantage FAQ. Whether you're a new or existing customer, speak with an expert by calling 800.800.4239, or email us for a response within 24 hours. * Some exclusions apply to the 5% discount. Discount (i) not applicable to existing quotes; and (ii) can’t be combined with any customer contract pricing. CDW reserves the right to discontinue the discount at any time. Accounts associated with a work email address will qualify for a dedicated account team after any purchase totaling $500 or more. Not applicable to resellers.